Another variation on the Un Emile absinthe. This time it was an experiment to make a naturally colored red absinthe. Red, purple, black, green, blue, white... all kinds of colors can be found in absinthes today. The majority of those with a different color than green, and obviously the transparent blanches, are artificially colored. Among the red absinthes, Serpis is probably the best known one, and also the first modern absinthe to be made red. So, why would anyone, especially a well reknowned distillery such as the Emile Pernot distillery, and Liqueurs de France go about and do something like that? They didn't. 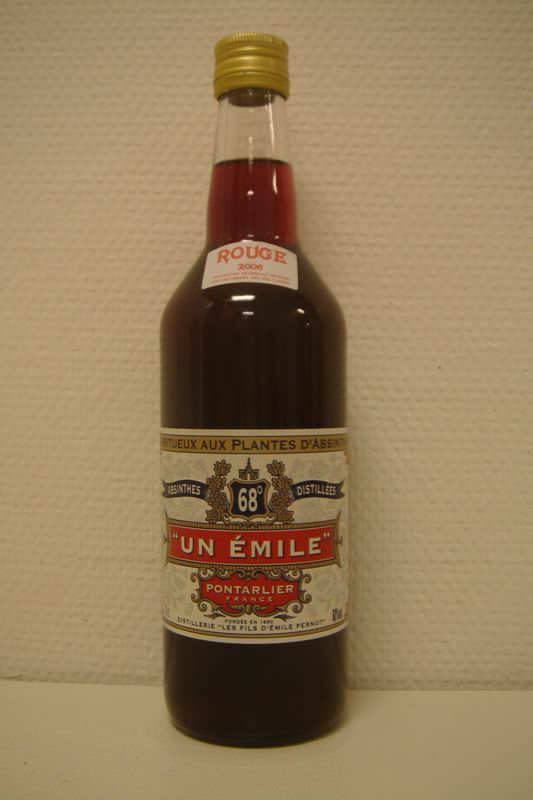 The Un Emile Rouge is completely naturally colored. That is the difference. Even back in the end of the 1800's there was a brand of absinthe named "Rosinette" which was a pink/red color, naturally colored. The Un Emile Rouge is based on the regular Un Emile, the one which got an improved recipe just a while back. 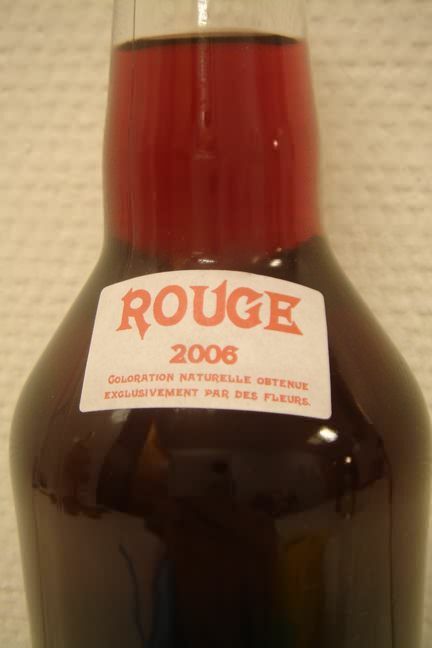 The red coloring, obtained from Hibiscus, lends a really unique and nice floral scent and also flavour to this one. It works nicely along with the anise and wormwood flavours of the Un Emile and actually lifts this absinthe to a new level. It's special and unique flavour really appeals to me. 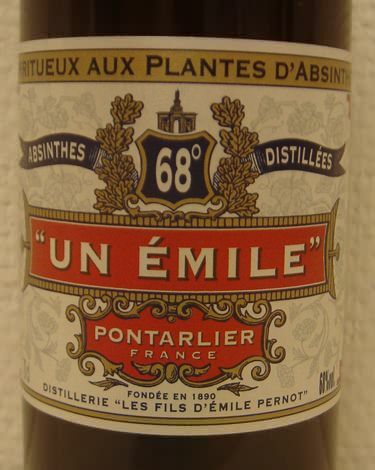 The louche has always been somewhat of a problem in the Un Emile range, but with the improved formulas that has improved a bit. A really slow drip of very icey cold water actually gives a decent louche today. The louche of the Un Emile Rouge ends up in a kind of pretty greyish pink. As a whole, this is actually my favourite Un Emile variety as of now. A nice taste and aroma, a quite rich mouth-feel which I would like to see more creamy though, and the improved louche. Quite nice indeed. Should you get one? Yes, I think so.